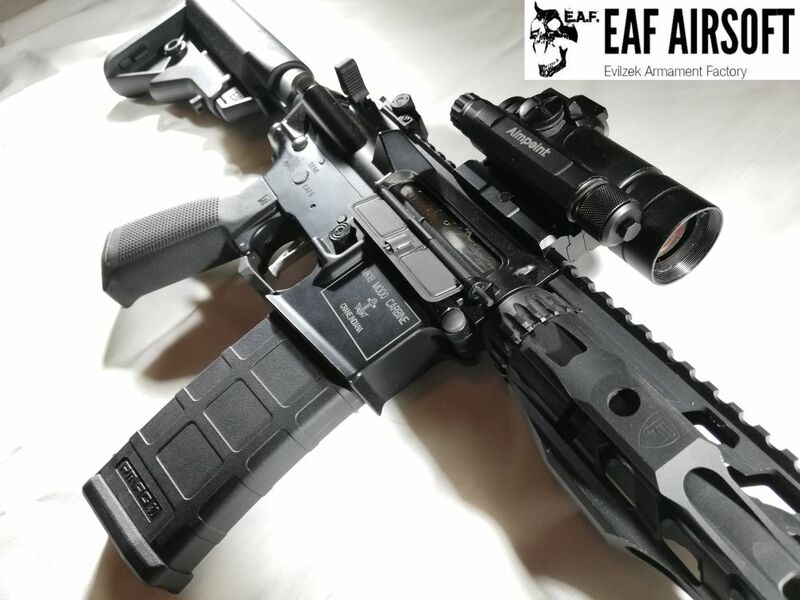 King Arms steel upper & lower receiver. Madbull Daniel Defense Government Profile outer barrel 14,5″. 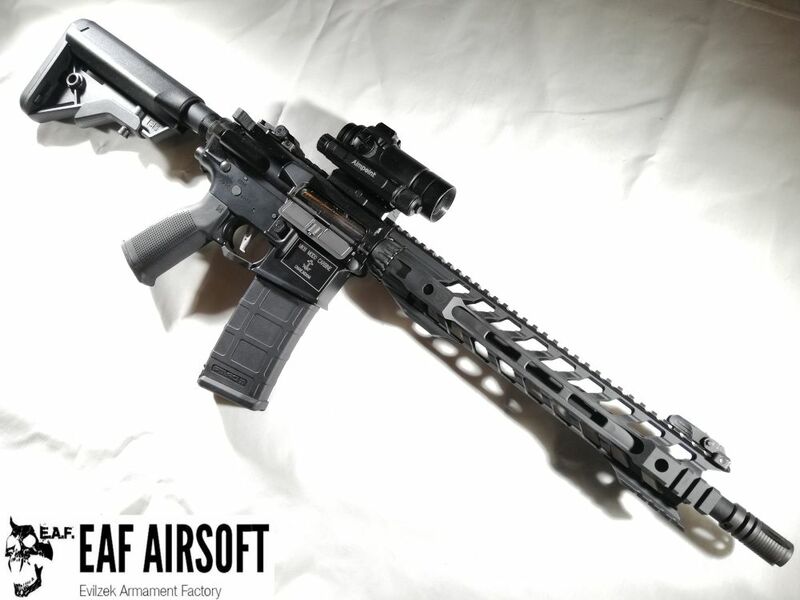 King Arms KAC 5.56 M4QD Flash Suppressor. 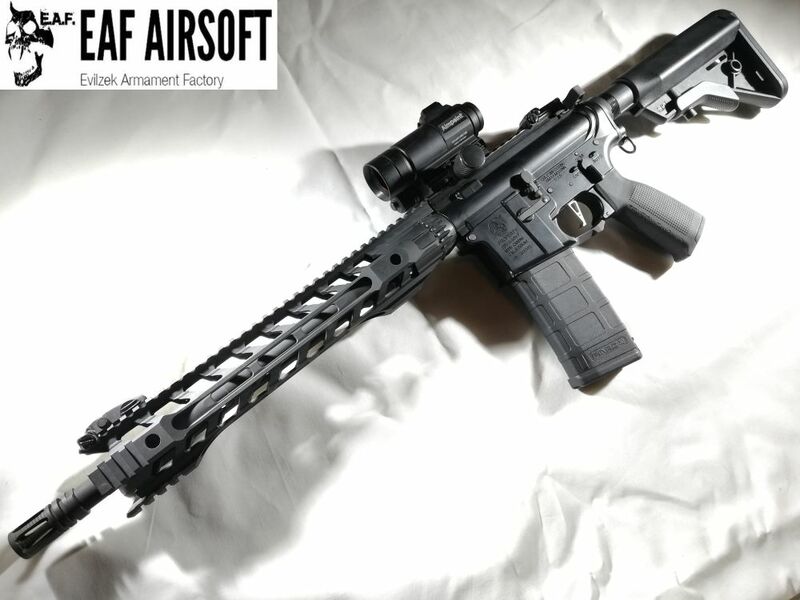 RWA Fortis 12″ Night Rail M-LOK. 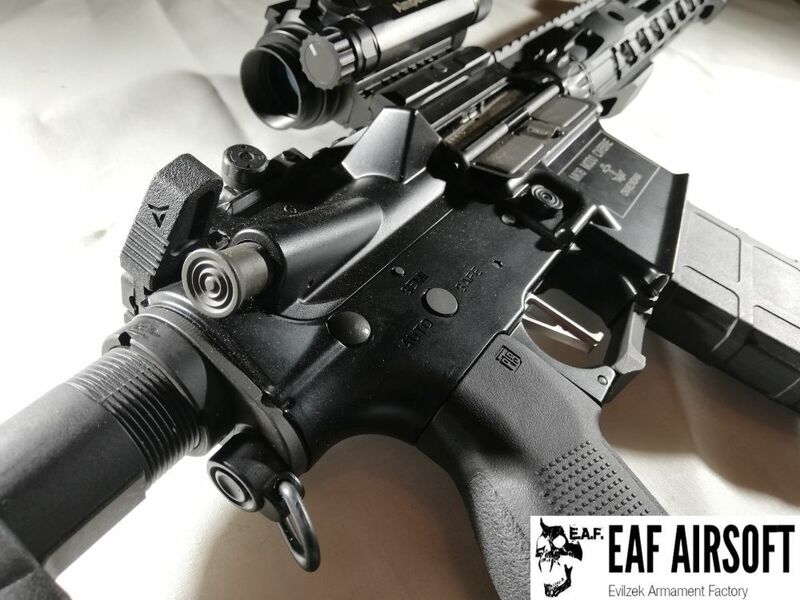 VFC KAC style micro front sight. 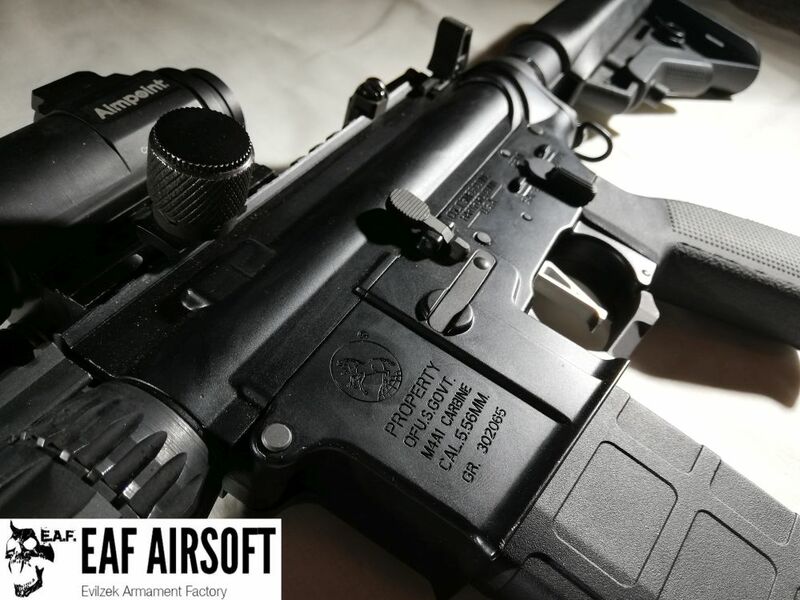 VFC KAC type 300m rear sight. PTS Radian Raptor LT ambidextrous charging handle. King Arms M4 buffer tube. 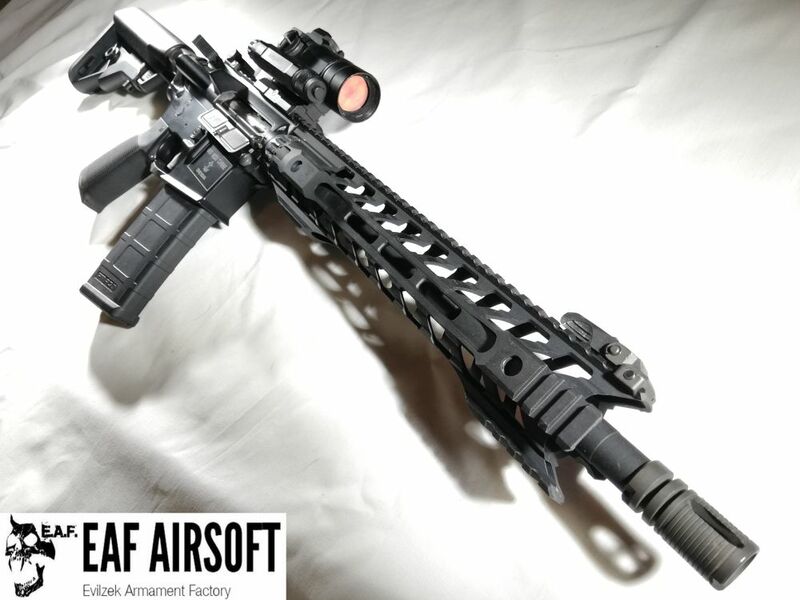 B5 System Bravo Sopmod stock. King Arms v2 8mm gear box. King Arms 8mm bearing bushing. SHS 16.1 steel gear set. Slong full steel teeth piston. 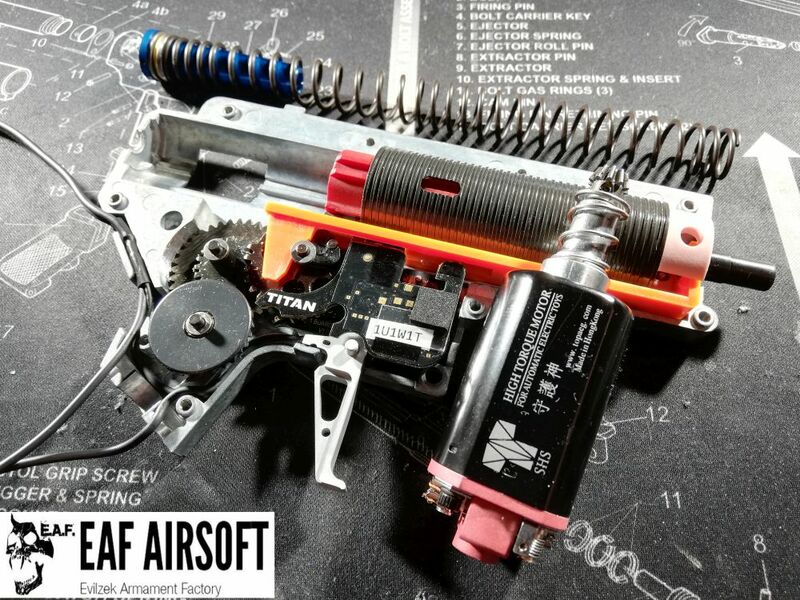 King Arms v2 hop-up unit. Poseidon Air Cushion Barrel 6,05mm.